Excitement awaits during this year’s Lunar Festival event! Over the next few weeks, you’ll be racing to complete new special event quests that offer handsome rewards, you’ll find a few new skins and mounts in the Shop, and you may even spot a few fireworks at the end of your matches. The revelry kicks off Tuesday, January 24, lasts until February 14, and you’re invited to join in the festivities! Each day during this year’s Lunar Festival event, you’ll receive a new quest to complete the Rooster Race. If any players in the match have not yet finished that day’s quest, a Lunar Rooster will appear near each team’s Core, along with many festive items, before the game begins! The Rooster will request a specific item at the top of the screen. You and your allies must find the item, right-click to collect it, and then return it to the Rooster in order to advance its position. If the item is off-screen, an indicator will point you in the right direction. Every time the correct item is turned in, the Rooster will request a new one. Return four items before the opposing team to win the Rooster Race! Daily Quest: Complete the Rooster Race once. 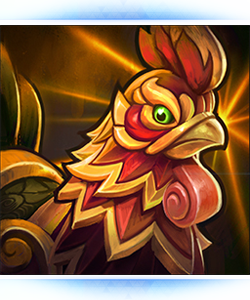 Event Quest: Complete the Rooster Race 25 times during the 2017 Lunar Festival event. Even a few our Heroes have donned their finest fineries in celebration of this year’s Lunar Festival. 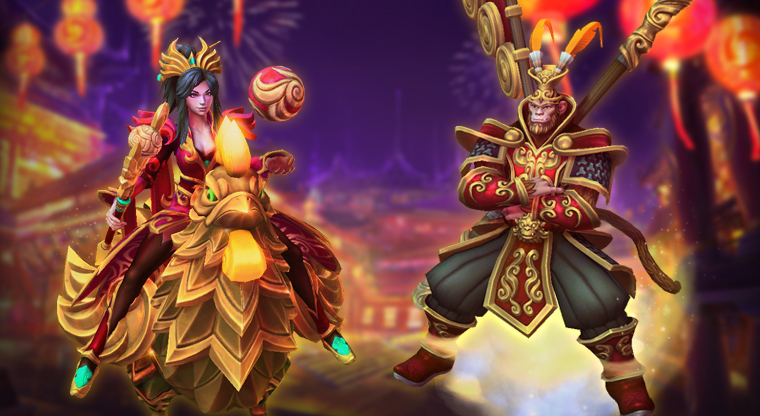 Head to the in-game Shop to check out the 2017 Lunar Festival Bundle, which contains Monkey King Samuro, Lunar Li-Ming, and the new Nimbus Cloud Mount. What’s more, we’ve also added a sparkly new Golden Rooster Mount to the in-game shop, and you can add it to your collection for just 10,000 gold! * Item available exclusively as part of the 2017 Lunar Festival Bundle. Monkey King Samuro will become purchasable individually on January 31, and Lunar Li-Ming will follow on February 7. We hope your new year is off to a fantastic start, and we can’t wait to celebrate Lunar Festival with you! Good luck during your Rooster Races, and we’ll see you in the Nexus.